Sometimes simplicity is just divine! 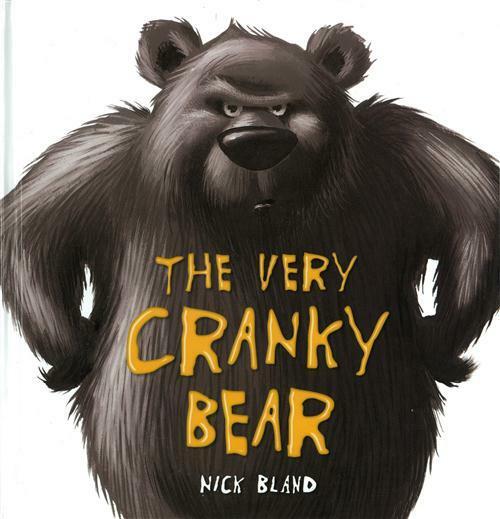 The Very Cranky Bear, written and illustrated by Australian Nick Bland, has a simple premise. When a group of animals seek refuge from the cold in his cave, he is (surprise, surprise) cranky! The clueless foursome try their best to cheer the bear up, though not because they care so much as they really want to play in that (very) occupied cave. They each try to get to the bottom of the bear’s crankiness. However, the solution is more simple than they realise at first, and it takes one very ‘plain’ sheep to figure it out. Bland’s rhyming scheme adds a layer of complexity to this book that otherwise might be a bit on the bland (no pun intended) side. It also adds a layer of delicious charm. I can’t go past mentioning Bland’s illustrations. I absolutely adore his style here. Colourful, vivid and yet cartoonish. Really, I could gush on and on about them. This book has a simple premise and a simple solution which results in a wonderful story. It’s all very seamless. You won’t be cranky about the decision to spend a few dollars on The Very Cranky Bear. The Very Cranky Bear, published by Scholastic. ← A sweet story for the sentimental reader.